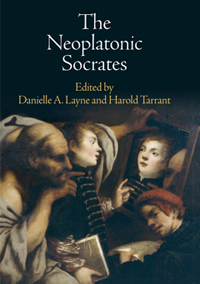 This fine monograph, a re-working of the author's Berlin doctoral thesis, completed under the direction of Prof. Gyburg Uhlmann, constitutes a detailed study of the commentary of the sixth century A.D. Neoplatonist Simplicius on the Encheiridion, or Manual, of the first / second century A.D. Stoic philosopher Epictetus. 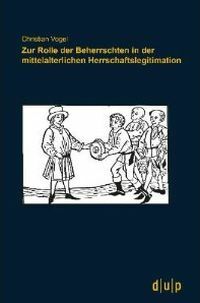 Vogel begins with a brief but well-chosen introduction (1-18), in which he reviews the history of scholarship on the work, acknowledging a substantial list of predecessors, culminating in the important work of Ilsetraut Hadot, and then sets out his own stall. 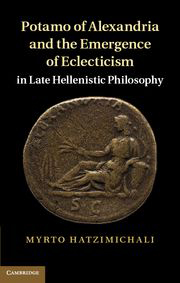 He makes the significant point that Simplicius' choice of a Stoic handbook as a subject of commentary need not be construed as a symptom of 'eclecticism', since there is no question of materialist Stoic metaphysics being introduced here, but merely a set of ethical precepts eminently suited to beginning students in Platonism, for whom this work is intended. 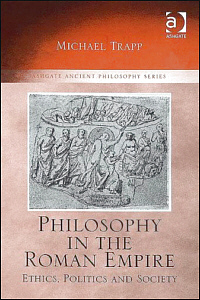 The only possible controversial issue is Epictetus' insistence upon the Stoic doctrine of apatheia, but even that is not basically at odds with Neoplatonist ethics, being proper to the higher, 'cathartic' level of virtue, to which students should be aspiring; and in any case, the austere attitude to externally-sourced pleasures that Epictetus promulgates constitutes better training for the young mind than a formal exposition of Aristotelian-style metriopatheia, such as would be envisaged in Neoplatonic ethics for the lower grades of virtue. In general, Simplicius is free to superimpose Neoplatonic metaphysics upon his subject matter, when occasion arises. The fact that Epictetus has no hesitation in speaking about 'God', and recognises a sphere of 'what is in our power' (to eph' hêmin) - albeit a highly restrictive one - makes this that much easier. The main body of the monograph is divided into two large parts. 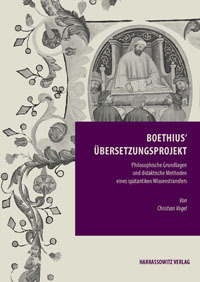 The first consists of a 'theoretische Vorbesprechung' (19-84), divided into three sections, the first ('Erkenntnistheoretischer Hintergrund bei Simplikios') covering the Platonic-Aristotelian theory of knowledge that Simplicius himself inherited; the second ('Bildung und Philosophie bei Epiktet') the cultural and philosophical position of Epictetus himself; and the third ('Ethik bei Simplikios'), Simplicius' own perspective on ethics, and on the usefulness of Epictetus' Handbook for beginning students of Platonism, even prior to their study of Aristotle's Organon, because of its uncompromising advocacy of moral self-control and self-sufficiency - disregarding such unsuitable Stoic doctrines as the mortality of the soul and materialism (which do not in fact obtrude themselves unduly). On all this Vogel is most sound and useful. The second and larger part of the main body of the work (85-385) comprises the treatment of the commentary itself. Simplicius discerned four main divisions in the 53 chapters of the Encheiridion: (1) chs. 1-21, particularly relevant to beginning students, covering the topics of 'what is up to us' and how to deal with external things - that is to say, how not to let them distress you, or lead you astray; (2) chs. 22-28: problems more suited to intermediate students, such as common conceptions (koinai ennoiai), badness and shame; (3) chs. 29-47: technical advice on the discovery of 'appropriate actions' (kathêkonta), towards other people, God, and oneself; and lastly (4) chs. 48-53, a concluding section on the practice of the precepts that have been provided in the work. Vogel goes through these in turn, in some detail. He first surveys Simplicius' introduction, discussing his statement of the skopos, or purpose of the work, which is "is to make our soul free, as the Demiurge and Father, its maker and generator, intended it to be: not fearing anything, or distressed at anything, or mastered by anything inferior to it" (193 Hadot); then the sort of reader to whom this is addressed, namely one who sees himself as a rational soul inhabiting a body which it uses as an instrument, but who nonetheless is not yet philosophically sophisticated. In the next section, 'Propädeutische Ethik für Anfänger' (96-232), Vogel deals with the first 21 chapters of the Handbook, which Simplicius regards as appropriate to 'beginners'. Simplicius in fact begins with an extended comment on the first sentence of ch. 1, where Epictetus commences with the statement: 'Some things are in our power (eph' hêmin), while others are not in our power', since he sees the correct analysis of the concept of to eph' hêmin as being of basic importance for the comprehension of the whole work. Vogel gives this corresponding attention (96-134), emphasising Simplicius' two-pronged strategy for the education of the beginning student, alienation from attachment to the body and the physical world ('Entwöhnung') and insight into the true nature of the soul ('Einsicht'). He then goes through the topics of the remaining twenty chapters, duly highlighting the themes dealt with, including the notable images of life as a banquet and life as a drama - the latter of which, in particular, may well have been an influence upon Plotinus. The following sections, though much shorter, are still of major importance. The emphasis is now on students who have made some progress (prokoptontes). Simplicius himself makes a break in his commentary at ch. 22 (301 Hadot), signalling that the discussion has advanced from human beings in general to those who have made at least a preliminary commitment to philosophy, and so will become somewhat more technical. Extended discussions ensue on the nature of progress in philosophy, and the practice of 'appropriate actions' (kathêkonta). A passage of particular interest is Simplicius' commentary on ch. 27, concerning the insubstantial nature of evil, which is in fact the briefest chapter in the Handbook, but which provokes Simplicius to an extended attack on metaphysical dualism (322-344 Hadot), specifically directed against the Manichees, whom he may have come across in Harran (if in fact he stopped off there on his journey back from the Persian court), Vogel deals with this very well from pages 264-282. In general, it must be said that what we have here is a commentary upon a commentary, which is a rather curious art-form, and involves a certain amount of straightforward summation of Simplicius. 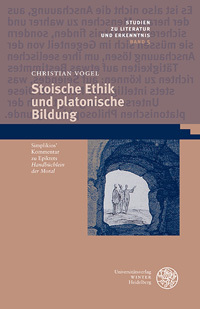 However, Vogel also contributes much that is most useful, in the form of background on the nature of Stoic and Platonic doctrine on the various topics discussed, and the differences between them, which tend to be glossed over by Simplicius. This makes his work a most useful contribution to scholarship in the area.